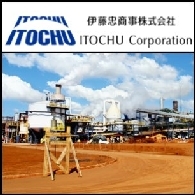 Itochu (formerly C. Itoh and Co., Ltd.) is one of Japan's leading trading companies with offices in over 80 countries and operations that cover a broad spectrum of industries. 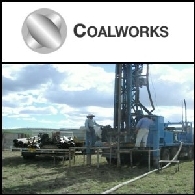 It is ranked 17th among the top 500 companies in the world. The company's "Super A&P 2004" mid-term business plan focuses its China strategy on "consumer-related" investment activities. 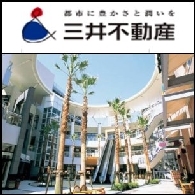 Prior to the current transaction, Itochu has already entered a comprehensive co-operation agreement with Tingyi's parent company, Tinghsin Group, in China's retail and restaurant sectors. Itochu is listed on Tokyo Stock Exchange with a current market capitalization of approximately US$5.2 billion. 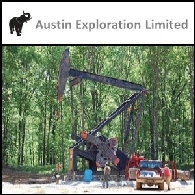 Austin Exploration Limited (ASX:AKK) (OTCQX:AUNXY) today announce that internationally respected petroleum industry executive, Mr Richard Cottee, will join the Company&apos;s Board of Directors as Non-Executive Chairman, effective 24 February 2012. 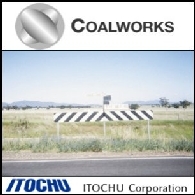 Australian Market Report of December 23, 2010 includes: Coalworks Limited (ASX:CWK) has signed a joint venture agreement with ITOCHU Corporation (TYO:8001); Icon Energy Limited (ASX:ICN) secures AUD$5.9m funding from Chinese investors; Seek Limited (ASX:SEK) signed an agreement to acquire a majority shareholding in Jobs DB Inc.; White Energy Company Limited (ASX:WEC) has exercised an option to acquire Cascade Coal Pty Limited. 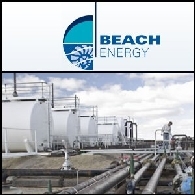 Beach Energy Limited (ASX:BPT) (PINK:BEPTF) and ITOCHU Corporation (TYO:8001) have identified potential South Australian sites for a proposed mid-scale Liquefied Natural Gas (LNG) facility. 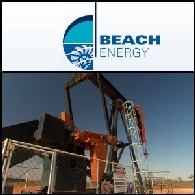 Beach Energy Limited (ASX:BPT) (PINK:BEPTF) releases quarterly report for the period ending 30 June 2010. 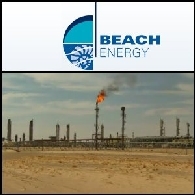 Beach Energy Limited (ASX:BPT) (PINK:BEPTF) is pleased to announce that today it entered into a nonbinding memorandum of understanding (MOU) with ITOCHU Corporation (TYO:8001) (PINK:ITOCY) of Japan to investigate and discuss the potential for a future business arrangement in connection with supply of gas from Beach&apos;s onshore Australian portfolio to a potential integrated LNG project. The Australian market opened modestly higher today ahead of the Reserve Bank of Australia&apos;s interest rate decision. 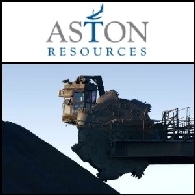 Material and mining shares continued their losing streak in early trade due to the mining tax concerns. But Wall Street&apos;s solid gains overnight helped to support the Australian shares with improving US economic data. Wall Street Thursday closed with little change after the market trimmed its early gains. US stocks rose for most of the session, but in the afternoon the market declined as falls in crude oil future hit the energy shares. Higher metal price could help the Asian markets Friday to offset some negative sentiment that cut gains on Wall Street. Asian bourses ended mixed Thursday while fiscal concerns in euro zone persist. Hong Kong and Shanghai markets lost more than 1 per cent each. However, Japan&apos;s Nikkei 225 Average added 0.1 per cent, South Korea&apos;s Kospi rose 0.4% and Taiwan&apos;s Taiex finished 0.2% higher. Banking shares continued to push the US market higher overnight, despite resources and industrial sectors were hurt by worries that China may tighten its policy to cool the overheating economy after the country&apos;s latest inflation data. Consumer price index for February in China rose a faster-than-expected 2.7% in February from a year earlier. Thursday Asian markets closed mixed. Several major markets dropped after Chinese economic data. Japan&apos;s Nikkei index was up 1 per cent and Hong Kong&apos;s Hang Seng Index inched up 0.1%. Taiwan&apos;s Taiex lost 0.4 per cent and South Korea&apos;s Kospi shed 0.3 per cent. 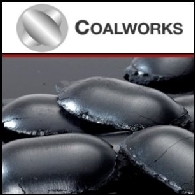 China&apos;s Shanghai Composited gave up most of its early gains and closed with a 0.1 per cent gain.